Affordable Dumpster Rental of Miami (754) 444-7722, Starting at $199! Welcome! 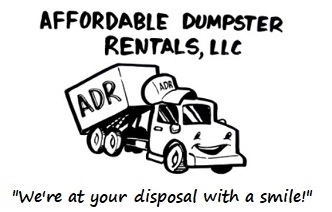 Looking for Dumpster Rental Prices in Miami? We are here for your Dumpster Rental needs! Proud to Serve Miami and Surrounding Cities! Affordable Dumpster Rental provides low-cost Residential and Commercial Roll off Dumpsters and Dumpster Bins starting at $199. We’re Miami's premier dumpster rental service to call today for rates and services. Our Miami and South Florida Dumpster & Bin Rentals include: Residential Roll off Dumpster Rentals - Construction Dumpster Rentals - Bulk Trash Dumpster Rentals - Garage Clear Out Dumpster Rentals - Landscaping Waste Dumpster Rentals - Commercial Dumpster Rentals - Roll off Dumpsters and Bins for any job! Looking for Dumpster Rental Prices in Miami? *Free EZ Quote Form - Powered by M.O. Rent a Construction Roll off Dumpster in Miami: Miami is a city with a thriving construction industry. We offer the dumpster rentals in Miami that you need to make sure you don't end up out of code or with too much waste on your job site. Need a construction dumpster for rent in Miami? Call us at (754) 444-7722 and a roll off dumpster container will be delivered to your site in no time. Rent a Roll Off Dumpster in Miami: If you are a homeowner who is planning a home renovation, weekend garage clean-out, home improvement or a major landscaping project, a roll off dumpster is something to consider. When you have a remodeling project or clearing away bulk trash, keep in mind that a regular curbside trash service will not pick up many waste or trash materials. Our affordable roll-off dumpster rentals come in a selection of sizes to fit your home renovation needs. Give us a call today and speak to one of our knowledgeable representatives to help determine the dumpster size that fits your needs. Rent a Dumpster Bin in Miami for Your Business: Depending on your business commercial waste needs, we have the right size dumpster bin for you. Our easy front loading commercial dumpster bin is an affordable and convenient way for any small business to service their waste needs. Front loading dumpsters bins vary in size from 4, 6 and 8 cubit yards. These dumpsters are ideal for restaurants, hospitals, apartments, grocery stores, gas stations and many others businesses. Rent a roll off dumpster or dumpster bin container in Miami and South Florida, for trash removal or construction waste removal. Subpages (2): Miami and Surrounding Cities Dumpster Rental Service Proud to Serve Miami and Surrounding Cities!